We can completely remove old buildings from residential block to make way for a new construction including liasing with local government and utility services. 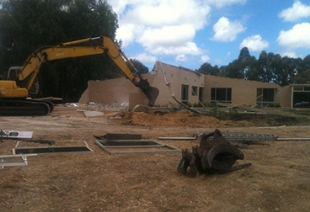 Our demolition experts in Perth have extensive experience in commercial and industrial demolition and can safely remove old factories and office buildings. Our trucks are equipped with cranes and hiabs that are perfect for those small lift jobs.